Rather than simply being an afterthought, quality art selection is the element that solidifies your design objective. We at Valerie Legras Galerie understand the role fine art plays in excellent interior design. Taking into consideration our client’s individual tastes and objectives, budget, and art quality, the Valerie Legras Galerie provides guidance on meaningful and memorable fine art investing. We provide curatorial and advisory services from start to finish: our experienced team works with artists and galleries internationally to source art, and will be with you through ordering and delivery. In addition to helping our clients with acquisition, we also provide a curatorial plan for any existing collection, including photo and artwork locations and framing to help re-organize your space and ease the transition of any new pieces. VLG provides Advisory services for both individuals and members of the trade. If you are a professional, reach out to us for a log in to view package options ranging from straight referrals to whole pitch decks. Sourcing potential acquisitions based on preference, design, and budget. 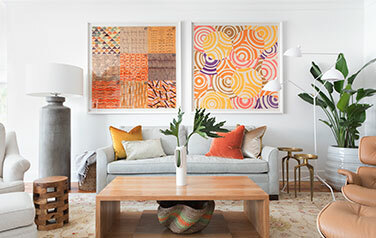 VLG carefully curates items from the vast art work and only present you with options that are specifically tailored to your preferences, space, and budget. We know you have great taste, we want to take the guess work out of the process so you can be sure your collection reflects you and your style. VLG will recommend small works, objects and crafts to supplement your collection and design. This is perfect for that awkward hallway, or the little wall that could use that extra “something”. We present you with selections that perfectly compliment your existing pieces making a cohesive look. Includes deciding locations, hanging heights, framing needs, etc. For when you have fantastic pieces that could use a breath of fresh air. Reframing, rearranging, and revamping can make your space feel new again. Fall back in love with your collection. We handle all the correspondence with dealers and freight so you don’t have to. Whether its a an African textile or huge sculpture, we make sure it arrives in pristine condition. We do not take any chances and make sure your newest investments arrive safely to its new home.